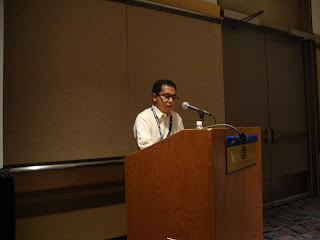 The SLA 2012 Annual Conference & Info-Expo gave me a taste of how conferences for American librarians are being organized and managed. As a first-timer, choosing which session to attend to is somehow overwhelming. From the vast number of interesting topics to the spotlight sessions, I was really fortunate to have been a part of this successful professional event in Chicago. Participants absolutely get a chance to network with the top exhibitors at the Info-Expo. More than 150 exhibitors participated in this grand event. It is a place where librarians could relax, interact with colleagues and suppliers, dine with friends, win prizes and receive terrific novelty items from each of the generous library vendors. My lucky day was on a Sunday when I won 12 bottles of wine. Unfortunately, I could not bring that home to the Philippines. I was hoping my number to be called for a Kindle or an iPad. Nevertheless, I am happy to share that prize with my generous room-mate, Mr. James Arshem, a retired librarian from USPTO. Expect to bring home a wide-array of new knowledge from the scheduled sessions and programs just for every special librarian. The conference provided what is needed to be discussed to advance the career of the information professionals. Hearing Guy Kawasaki during the general session and awards presentation is an entertaining way to empower librarians in every positive way they can. I extend my congratulations to the fellow librarians who received their prestigious awards this year. Joining the DBF open house during the 27th Annual Bibliography is also a way of showcasing the achievements of the divisions’ authors. I was indeed lucky to have been a part of it. 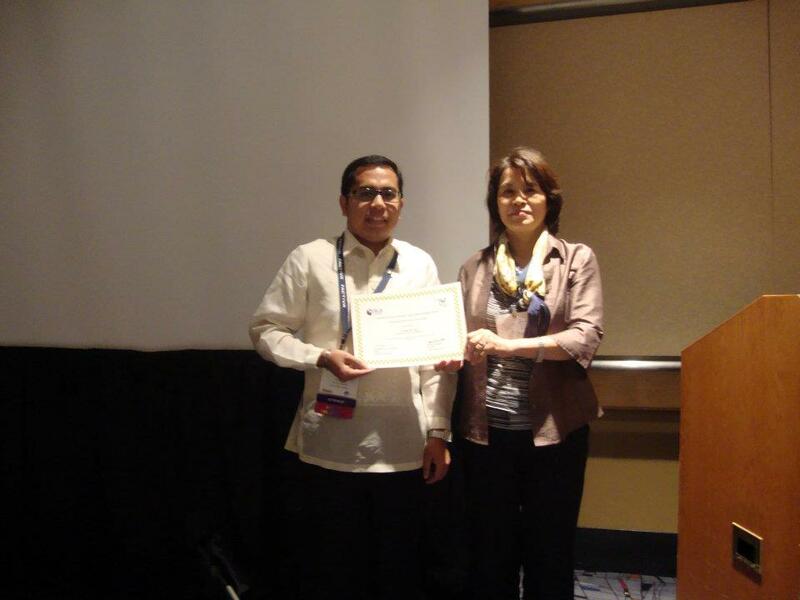 My sincerest and special thanks to Ms. Lucrea Dayrit for including me on the list of distinguished authors for my paper I presented during the Congress of Southeast Asian Librarians (CONSAL) last May in Indonesia. This open house also exposed me to the world of marketing. 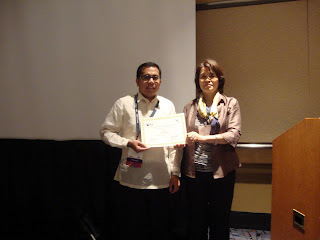 I, together with Ms. Kyoko Sato, took time to spend a minute or two to invite speakers and sponsors for the upcoming 3rd International Conference of Asian Special Libraries (ICoASL III) to be held in the Philippines on April 10-12, 2013. I was able to touch-base with the best authors and members of the SLA during this open house and got the chance to meet the Chair of B&F, Mr. Christopher Hoeppner. It was also an exciting networking affair when I attended the Pharmaceutical & Health Technology Division. With the encouragement of Ms. Sato, I was able to meet the representative of the Sub-Saharan Africa chapter, Ms. Nerisa Kamar. Afterwhich, I was also able to bump into Ms. Affra Al Shamsi of the Arabian Gulf chapter. SLA is truly global and international. My interest in competitive intelligence as a discipline grew when I learned that there were Filipino librarians working for a local CI company. It enabled me to learn more about this area, listening to the competitive speakers during the session on collaborative insights. It was an interactive one. My interest grew deeper and will consider joining their division next year. As part of my attendance in SLA, I received my award during the supposed-to-be Asian Chapter Board Meeting and Presentation of Awards. However, since there is a just a few of us present, we just pushed through with presentation of awards and introduction of the ICoASL to the small audience. SLA President Brent Mai was there to witness the ceremony. I shared the stage with Ms. Lata Suresh, the winner of the SLA Asian Professional Award. After the Asian Chapter Board Meeting, we headed to the Business & Finance Division Awards Presentation and Reception. A convenient shuttle bus is needed which is a complimentary of SLA for those who are checked-in at their partner hotels. The next stop is at Hilton Chicago where the reception is happening. It was a larger crowd with award recipients coming from Argentina, Philippines, India, United States and United Kingdom. It was really a get-together for some of the attendees and a way of honoring the innovative and competent librarians from all over the world. Other sessions I attended were, “Building a Greener Library” by Ginnie Cooper sponsored by Military Libraries Division and Museums, Arts and Humanities Division; and “Marketing for the Rest of Us: a Guide for Introverts” by Mary Ellen Bates. My six-day trip to Chicago is incomparable. Nothing beats the 37,000 feet altitude combined with a lot of turbulent moments while crossing the Pacific Ocean, Alaska and Canada. Receiving an award is a prestige, participating in a conference is a plus, meeting people is extraordinary and visiting Chicago is a glory. Again, all my gratitude goes to the SLA B&F, to Asian Chapter, to all the people who believed in me and supported me in this superb dream to be in America. God bless you all.